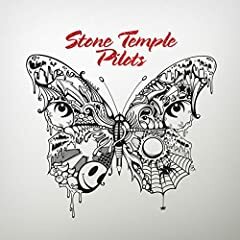 Stone Temple Pilots (sometimes abbreviated as STP) are an American rock band from San Diego, California, that originally consisted of Scott Weiland (lead vocals), brothers Dean (guitar) and Robert DeLeo (bass, backing vocals), and Eric Kretz (drums). Since the band's formation in 1989, its line-up remained unchanged until the firing of Weiland in 2013, who was replaced by Linkin Park vocalist Chester Bennington. In 2015, Bennington left the band to focus solely on Linkin Park. On December 3, 2015, Weiland was found dead on his tour bus prior to a performance with his band The Wildabouts. I joined this app just for this song. "when the dogs begin to smell her, will she smell alone?" I am struggling with that meaning. Has he killed her? Or is it the sense of dogs that humans cant replicate. Any thoughts? How about the whole song and it's meaning?